We are pleased to announce the details have been finalised for our 13th Annual Starfest in Dalby Forest. All society members should have received their email and booking form today. For regular attendees, details will be on their way to you also. 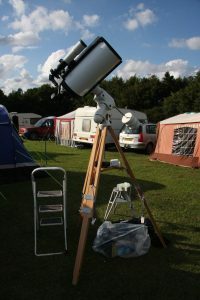 For anyone who has not been to our Starfest before and would like to know more, full details are on our Starfest 2013 page. The weekend is 9th – 11th August (Friday, Saturday and Sunday night camping) with early arrivals possible from 5pm on Thursday 8th (full details and additional fee on the booking form and on the Starfest webpage). This event is well attended by over 100 serious amateur astronomers and astrophotographers from around the country who make the journey to Dalby to take advantage of our recently awarded “Milky Way” class dark sky. 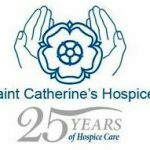 Please book early to avoid disappointment as places are limited and the event is popular. 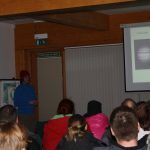 This entry was posted in Events, Member events, News, Starfest and tagged Adderstone Field, astronomy, astrophotography, Dalby Forest, Dark Sky Discovery, Juergen Schmoll, Milky Way class, Starfest, Starfest 2013. Bookmark the permalink.